Production on HBO’s “Ballers” has moved to the L.A. area and casting directors with Marinella Hume Casting Los Angeles are now taking extras submissions. Previous seasons of the show filmed last in the Miami area, but this winter Los Angeles area residents have a chance to get on the show as paid extras, stand-ins, photo doubles and featured extras. The HBO comedy/drama is now in production of “Ballers” season 3. “Ballers” is executive produced by Dwayne Johnson and Mark Wahlberg, among others. Dwayne Johnson stars as ex football player Spencer Strasmore, a superstar during his football playing days, Spencer Strasmore tries to find the same success as a financial manager for current players in sun-splashed Miami. Heeding his boss Joe’s instruction to “monetize his friendships,” Spencer builds a client base of young phenoms and veteran stars alike, but his role in their lives far exceeds money management as he struggles to help them navigate the many traps that come with life as big-time “ballers.” The series is created by Stephen Levinson (“Entourage,” “Boardwalk Empire”). Casting directors just released casting notices for their current needs which are scenes that will be filming in early January 2017. Also, the series is looking for quite a few stand-ins. 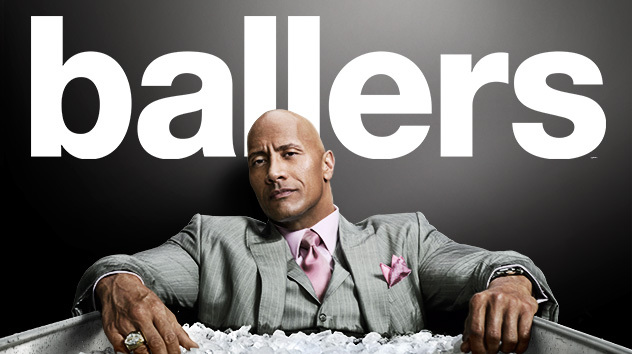 Marinella-Hume Casting L.A. is now casting stand-ins and background roles for filming on ballers. Please DO NOT submit if you do not live in the Southern California area. Please note some of these positions may require an interview and/or costume fitting. Please do not send an email saying “I’m in the database” and proceed to send no pics, sizes, or contact info. These are NOT principal roles. THIS SHOOTS IN the LOS ANGELES, CA Area. CASTING THE FOLLOWING STAND-INS & BACKGROUND ROLES for ballers. *please note, these may require an interview. S.S. SI: Male, around 6’4″-6’5″. Caramel complexion, bald. Put “SS SI” in subject line. Will work various dates until mid April. JOE SI: Male, around 5’11”, caucasian, balding brown hair., average build. Put “JOE SI” in subject line. Will work various dates until mid April. CHUCK SI: Male, around 6’4″-6’5″, large build, African American. Short dark hair. Put “CHUCK SI” in subject line. Will work various dates until mid April. VERN SI: Male, around 6’1″-6’2″, large build, African American. Short dark hair. Put “VERN SI” In subject line. Will work various dates until mid April. RICK SI: Male, around 5’10”-5’11”, athletic build, African American. Dark Hair. Put “RICK SI” in subject line. Will work various dates until mid April. JULIE SI: Female, slim, around 5’1″- 5’3″, African American, short dark hair. Put “JULIE SI” in subject line. Will work various dates until mid April. JG SI: Male, stocky, around 5’5″ – 5’7″. Caucasian, Bald. Put “JG SI” in subject line. Will work various dates until mid April. MR. A SI: Male, around 5’9″ – 5’11”, Caucasian, balding dark hair, dark beard. Put “MR. A SI” in subject line. Will work various dates until mid April. AMBER SI: Female, around 5’3″-5’4″, African American. Dark shoulder length hair. Put “AMBER SI” in subject line. Will work various dates until mid April. JASON SI: Male, around 6’1″, Caucasian. Dark short hair. Put “JASON SI” in subject line. Will work various dates until mid April. LARRY SI: Male, around 5’10”, African American. Dark short hair. Put “LARRY SI” in subject line. Will work various dates until mid April. 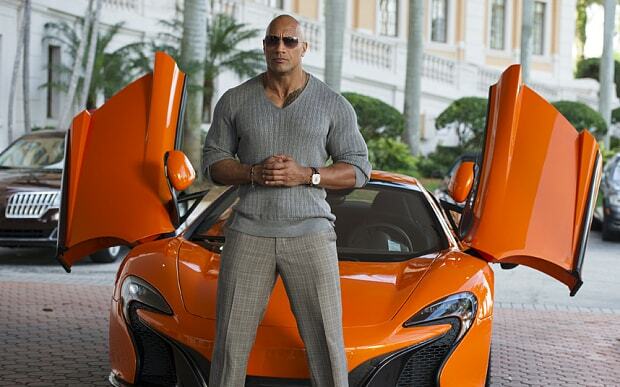 DWAYNE JOHNSON PHOTO DOUBLE: Male, 6’4-6’5″, must have similar build, skin tone and hairstyle as Dwayne Johnson. Put “DJ DOUBLE” in subject line. If you are submitting for multiple roles, send only one email with the different roles in the subject line. AIRLINE PASSENGERS – Men & Women, ages 18+. All ethnicities. This is scheduled to work on Wednesday, January 4th. Put “AIR” in subject line. FLIGHT ATTENDANTS – In-Shape, Attractive Men & Women, ages 18-40. All ethnicities. T his is scheduled to work on Wednesday, January 4th. Put “FLIGHT ATTENDANT” in subject line. HOSPITAL STAFF – Doctors, Nurses, men & women, ages 18+. All ethnicities. Please denote if you are an ACTUAL doctor or nurse. Put “HOSPITAL STAFF” in subject line. VISITORS w/Cars – Men & Women, ages 18+. All ethnicities. Must have vehicle to be used in scene. Include picture of car along with make/model/year/color. Put “VISITOR” in subject line. PATIENTS – Men, ages 25-50. All ethnicities. Put “PATIENT” in subject line. PATRONS – Attractive Men & women, ages 18+, all ethnicities. Healthy and In good shape. Please note if you have fitness attire. Put “APPLE” in subject line. SCOOTER OWNERS AND RIDERS – Men & women, all ethnicities. Ages 18+. MUST OWN AND BE ABLE TO RIDE MOTORIZED SCOOTER/VESPA, etc. Put “SCOOTER” in subject line. HISPANIC PEDESTRIANS w/CAR – Men & Women, Latin/Hispanic looking. Ages 18+. Include picture of car along with make/model/year/color. . Put “HISPANIC PED” in subject line. YOUNG PROFESSIONAL TYPES: Attractive & fit Men & Women, ages 20-35. Stylish and chic clothing. Will work various dates until wrap. Put “YOUNG PRO” in subject line. HIGH END CARS: We will be looking for high end vehicles throughout the season. Please note the color/make/model/year of your vehicle. Please also note your general availability. Put “HIGH END CAR” in subject line. If you live in the Los Angeles area and would love to tryout for one of the roles, please see this page for all the submission details. Here is the trailer for the last season of Ballers. Ballers season 3 should premiere on HBO in summer 2017. I am interested in this Casting Call.